How do I love Netflix’s The Highwaymen? Let me count the ways. Impeccable leads and a fine supporting cast. Sharp dialogue, haunting images and music, with action nonpareil. But best of all, we finally get the story straight, and the lawmen – not the thuggish criminals – are the real heroes. Hallelujah! It’s about time. The highly touted 1967 Bonnie and Clyde still celebrated by Hollywood marked the beginning of the cultural decline in films, where thugs, gangsters, thieves, and all around reprobates were glossed over and glamorized at the expense of decent human beings. There was some justice for the lawman, although we never heard a word uttered about it during the 2017 Oscars where a giggling Dunaway and Beatty celebrated the 50-year anniversary of their film. But ironically, it was actually that Hollywood duo that turned out to be the bunglers. Hamer’s widow, Gladys, sued Warner Bros. for defamation in 1971 and won an out-of-court settlement. It was the life he lived, and Frank Hamer saw it as his duty. And guys like that want one last ride. And he’s looking at these kids on a killing spree with no one bringing them down. He’s tired of reading about it. When he’s asked to go, he goes. Clyde Barrow was a career criminal who came from a family of criminals: of seven Barrow children, five were convicted felons. According to myth, he was forced by the Depression into a life of crime, but in fact Clyde became a 13‑year‑old chicken thief in 1922, seven years before the Depression even hit Texas. 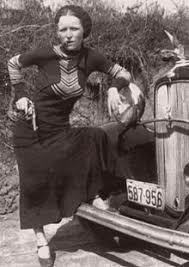 He certainly led Bonnie Parker into a career of crime, but she followed willingly. In myth, she was an innocent girl who never fired a gun. In fact, during a bank holdup in Lucerne, Indiana, Bonnie fired at unarmed citizens. Following a bank robbery in Okabena, Minnesota, Bonnie, Clyde and his brother, Buck Barrow fired at citizens with shotguns and Browning automatic rifles, narrowly missing a school bus full of children. Bonnie shot at lawmen in gunfights at Joplin, Missouri, and Dexter, Iowa. She was, in the popular term of that era, a gun moll. One of the film’s subtle yet brilliant choices is to keep the 2 criminals, Bonnie and Clyde always in the background, shot at a distance with the only close-up coming shortly before the ambush that led to their death. That is the subtle put down of the two who always posed for pictures and were celebrated by much of the Depression populace as kind of folk heroes. Of Course, the two Hollywood legends, Beatty and Dunaway, upped the ante as they re-posed some of the same photos, lending even more allure to those gangsters. Maney Gault:[to Hamer] Hey, you got room for one more? Frank Hamer:You’re not even packed. The above is an example of the repartee between Costner’s Hamer and Harrelson’s Maney Gault, the other ex Texas ranger who had resigned with him in protest against the infamous Ma Ferguson, who sold some 4000 or so pardons during her corrupt reign as governor. But even better is the discussion between the two on why Hamer earlier had driven almost all the way to Gault’s shabby house and then turned around. Hamer first tells him that he decided not to ask for his help when he saw him walking “like he was bout 80 years old.” But later on, Hamer confesses that he didn’t want Gault torn apart by what he knows will be a very bloody business. The two are ridiculed by the governor as well as a condescending FBI, which is pictured as incompetent as they are arrogant, as relics of the past – as indeed they are. Ma Ferguson: Let's hear it. Lee Simmons: There was a time when we put a pair of man killers on the trail and let them do their job. TEXAS RANGERS. Detective John Quinn: There was a time... and that time's past. 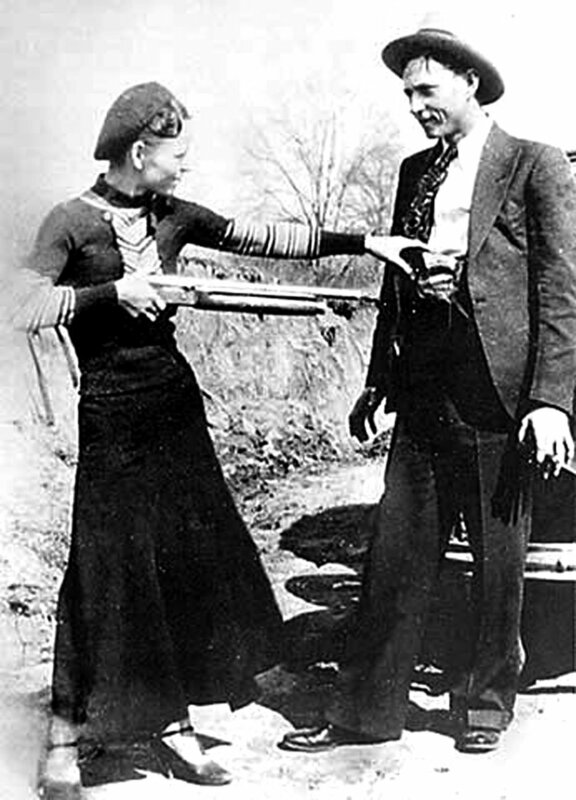 Ma Ferguson: This is 1934 Lee and you want to put COWBOYS on Bonnie and Clyde? Is that what you're selling? Lee Simmons: FRANK HAMER. That's what I'm selling. Ma Ferguson: Well sure, why don't we just go dig up Wyatt Earp? Detective John Quinn: Wild Bill Hickock. This Netflix film is better than almost everything now offered at the cinema. Add to that the fact that Frank Hammer actually lived in a house just across the alley from me, now owned by good friends, and I cannot help but give it my highest recommendation. J. Edgar Hoover looms in the background of our film, especially in the form of his arrogant FBI, which disparages the two ex Texas rangers who are pursuing Bonnie and Cylde. Hammer and Gault do it the old fashioned way, using maps and intuition, driving across 15 states for 105 days, but it is they and not Hoover’s famous G Men who take down the machine gun toting lovers. So, perhaps with a last jibe at the G Men who mocked Hamer and Gault, we serve this humble dish from the Depression era. Actually, it is pretty delicious, even with hot dogs doing the work of the more costly meats now readily available. I remember my mother used to used hot dogs and potatoes in a stew when I was growing up, and I loved it. I hope you will, too. I know the kiddos will. Cook pasta until it’s not quite done, then add sliced hot dogs and canned ingredients. Bring to a boil, then allow to simmer until pasta is done.